It's without question that the Balenciaga Arena has been one of the most popular silhouettes in sneakers in the last few years. The hype was at its peak when Kanye West and Pusha T started wearing the sneakers in 2011, and hasn't died down much since 'Ye sported them. 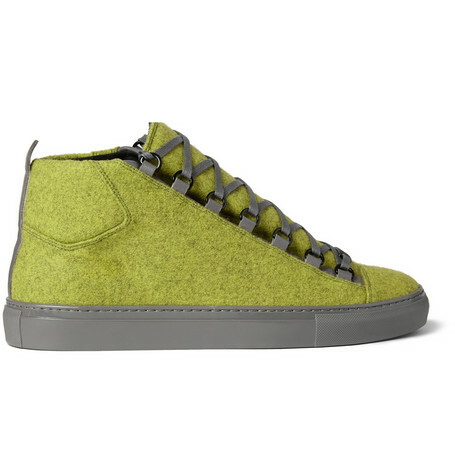 Since the original model debuted we've seen it in both low and high top silhouettes in suede, calfskin and lambskin. Over the last few seasons, Balenciaga began experimenting more with texture on the popular kicks, like using embossing techniques to mimic stingray hide. 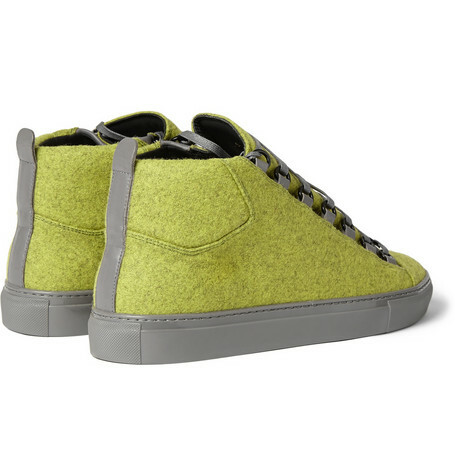 This season, Balenciaga moves onto felt with the first pair being a darker shade of tennis ball green with grey leather accents like the stripe down the heel along with a grey sole and laces. 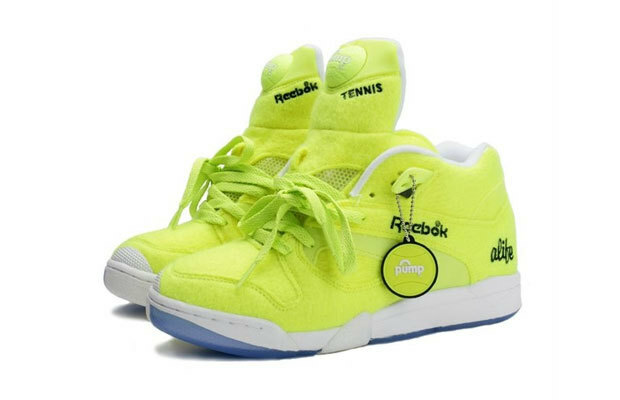 It reminds me of a grown up version of the incredibly popular and hard to find Alife x Reebok Court Victory Pump "Ball Out" in neon green. Both shoes use a similar shade of green (albeit one more neon than another) with neutral base colors (grey vs. white), one color midsoles, while the Reebok's use an icy outsole and the Balenciaga sticks to the same grey as the midsole. What do you think of the newest textile to join the Arenas family? 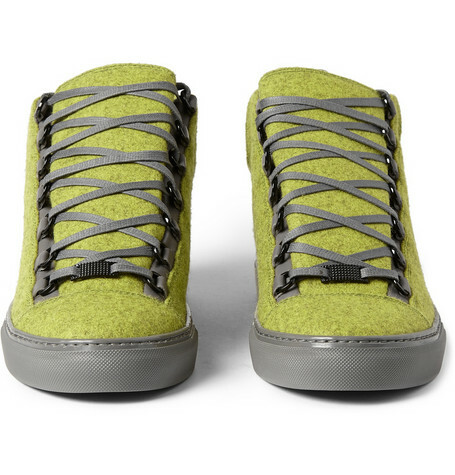 'Ye has not been sported in them yet but he has worn a similar pair in yellow leather, back in 2012. 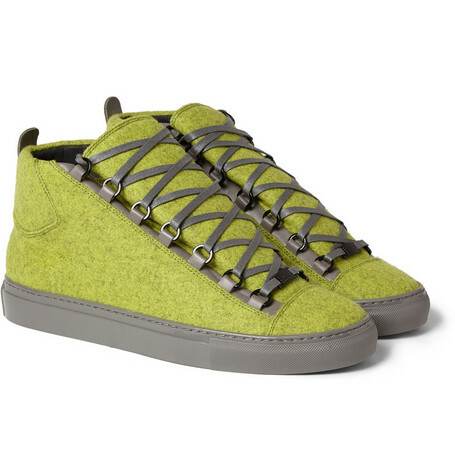 The Balenciaga Arena hightops in felt and leather in green and grey retail for $585 USD. They're currently sold out everywhere but let us know if you'll be copping a pair or if you'd like our help securing your pair, submit a form here. Check out more images of the sneaker below in the gallery.